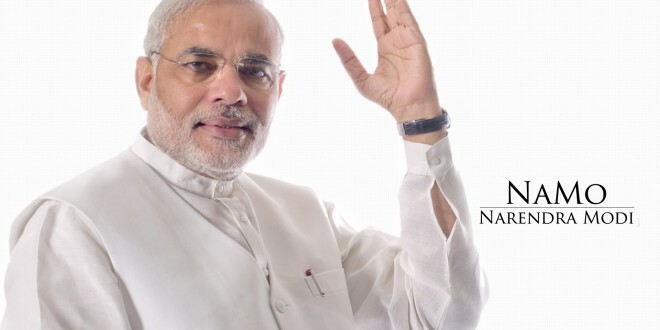 The Republic of India in it’s 64th year, elected Narendra Modi as it’s Prime Minister in May, 2014. The election was a historic one, with over 800 million eligible voters, the largest democracy in the world went to vote in months of April and May. The election of Narendra Modi was nothing short of controversy on steroids – his tainted human rights record was overshadowed by his projection as the leader dedicated to the economic development of India. 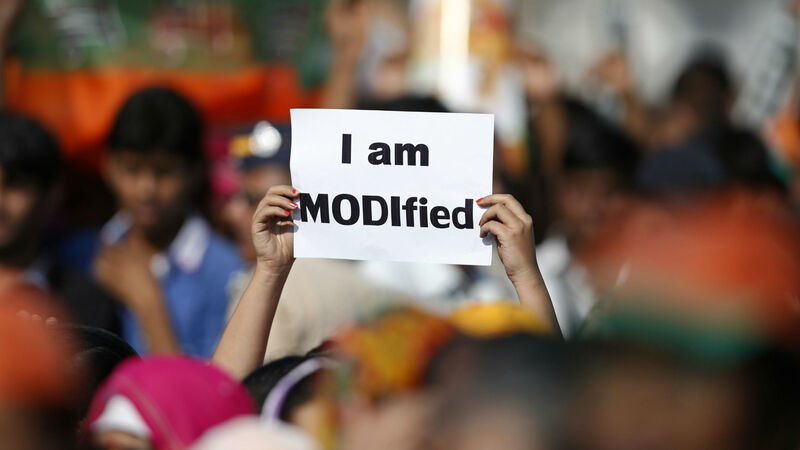 Many citizens of India have rejected Modi as their Prime Minister and are unhappy about the country being led by a perceived fascist, and a former Chief Minister who didn’t enough to save the lives of countless minorities who were butchered under his watch in Gujarat. 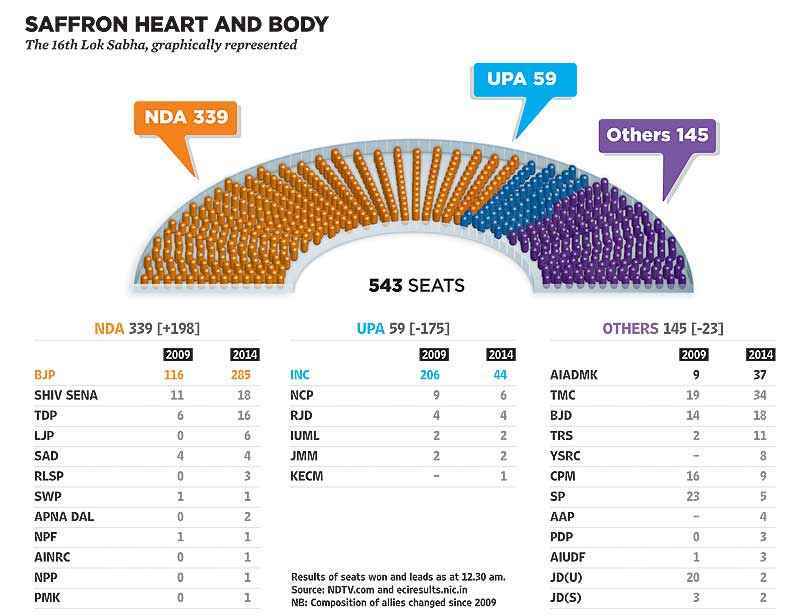 How did Modi, a former chai-walla manage to outdo the media vitriol and intellectual outrage to capture an unprecedented 62% of Lok Sabha seats (NDA alliance led by Modi)? 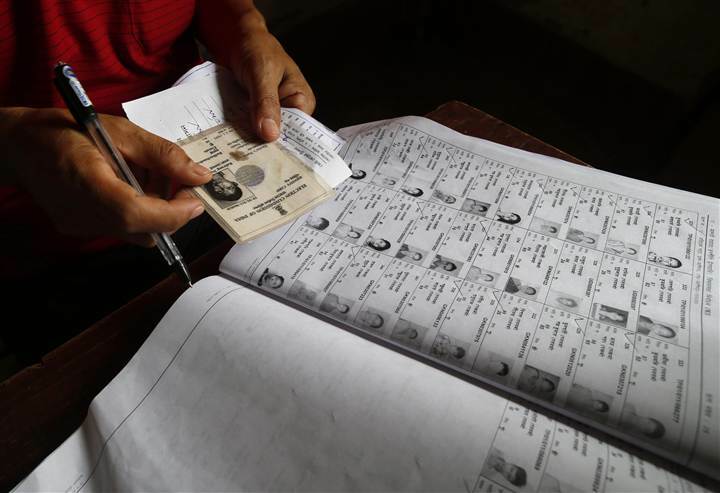 Did the Hindu majority in the country overwhelming vote for Modi? Does his election indicate that morality in the country has degraded to a point that people do not care about the tainted past of political leaders? Does it mean that India is moving towards fundamentalist Hinduism? Contrary to the fear mongering being thrust in our face, the perceptions about Modi are different in the eyes of common men and women compared to the intellectuals in India. While intellectuals discuss Modi’s human rights to no end, the common man seems unfazed by the massacre in Gujarat over 10 years ago. Sadly for the common person, riots have taken place post Gujarat in Uttar Pradesh, Rajasthan, North-Eastern states and so on where more people were butchered under the watch of various governments. For the common person, each riot is the same – misery for the poor, intellectual debates for the rich, and irreverent lack of empathy from the political class. The common person was only interested in answer to one question – “You sir/mam, can you help me put food on table for my family?” Arvind Kejriwal and Modi seemed to be the only candidates sincerely willing to answer the question. Congress’s failure to deliver on practically all development goals didn’t go unnoticed by common of man and woman in remotest villages of India. Coal-gate, 3G, 2G, etc scams rocked the Congress government and none of the corrupt political leaders was held accountable. Arvind Kejriwal from the Aam Admi Party was a worthy and respectable opponent, and his short stint as the Chief Minister in New Delhi captured attention of Indians desiring fast-paced change. Sadly the party was too young and needed experience before it could gain the confidence of the entire nation in the polarized national election. 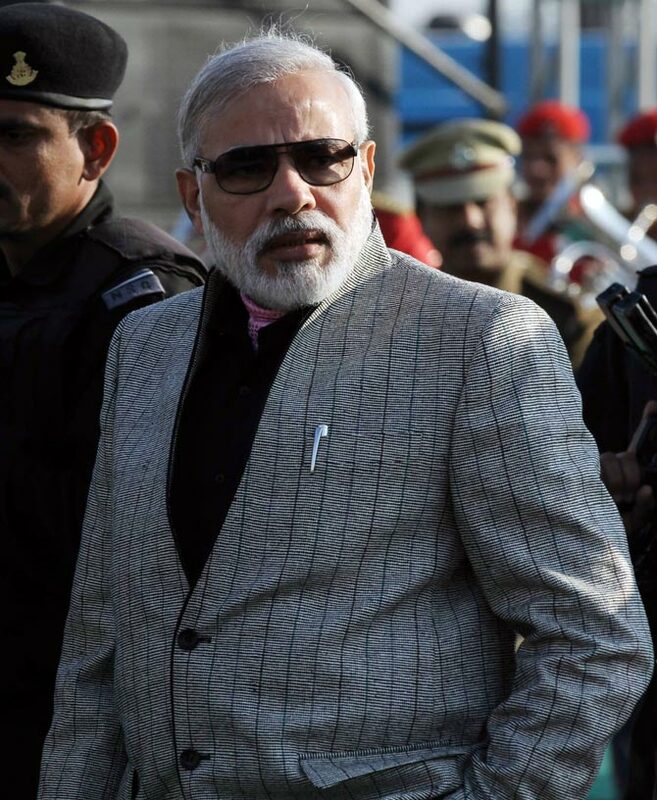 Modi on the other hand seemed to put his finger on the pulse of the nation – a vision of modern India at it’s zenith. 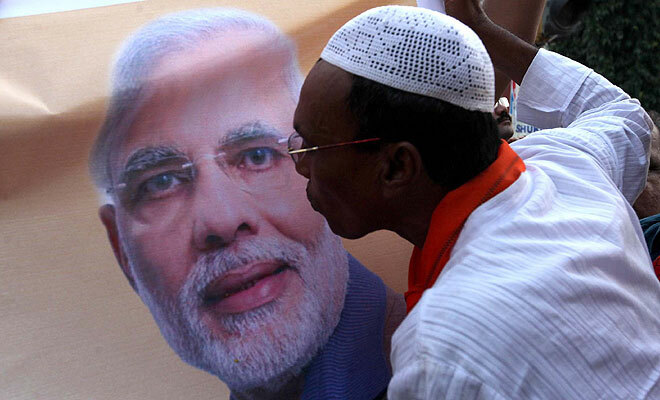 With his incessant campaigning, 3D virtual presence, Modi masks – Modi was hard to ignore. Modi must be acknowledged for his stringent focus on a development agenda, while others were engaged in yesteryear mud-slinging with no real focus on a unified vision for India. Modi knew well about the tyrannical reputation he held until now – he offered no apology for his role in the riots, absolving himself of any responsibility. Instead he confidently talked about equal opportunity and safety for all citizens in a country divided on religious and caste lines. In the end, Modi’s win was handed to him on the platter – with Congress’s abysmal performance under the Gandhi family’s rein and with no other viable candidates left in the arena. Modi’s win certainly cannot be attributed to the galvanized Hindu voters (a majority being dalit, from scheduled castes and scheduled tribes). Citizens (of all castes, creeds and religions) voted in unprecedented numbers and made a statement about dynasty and divisive politics. To a layperson, it appears as though citizens simply voted for the only candidate who talked about growth, jobs, development and civic governances. Citizens rejected the communal politics because they knew too well all politicians in India are tainted! What’s disturbing however is the persistent fear-mongering that persists after Modi’s election in both national and international media. For example, we were particularly disturbed by Policy Mic’s article about the 11 Photos Show Why We Should be Terrified of India’s New Leader by Marguerite Ward. Other national media outlets have written off Modi already and are anxious to see him fail. The latter is especially dangerous when India’s GDP has declined to around 4.1%, unemployment is rising, the world is increasingly concerned about India’s corruption scandals, and India hangs its head in shame for issues concerning women’s safety and rights. Regardless of the candidate selected, Indians must hope the next Prime Minister delivers where predecessors have failed. Desiring Modi to fail is desiring for India to fail – the sentiment helps no one – especially the marginalized and poor in India. Sadly for India, Kejriwal – the only non-corrupt candidate couldn’t prove his mettle in this election cycle. However, AAP must gain the must needed experience in Indian politics and must do more grassroots political work to capture the confidence of the citizens in the next election in 2019. Furthermore, with Kejriwal around, Modi and his NDA alliance is less likely to engage in outright corrupt practices like Congress did. With a full majority, this is Modi’s best chance to make good on his promises. Regardless of what our personal ideologies are, it’s time to get behind the man we might not personally appreciate. It’s time the young India shines on an international platform and politicians finally understand that they must deliver to deserve a vote. Very hopeful about Kejriwal too, especially if he decides to take on Delhi one more time. Previous Previous post: Mother’s Day Stories – The Mother who lost in love!